$10.00 per pair plus shipping. Over the knee and thigh high available. The lycra in these cotton socks makes them extra stretchy so they will fit most legs. These are first quality socks and are made exclusively for us! 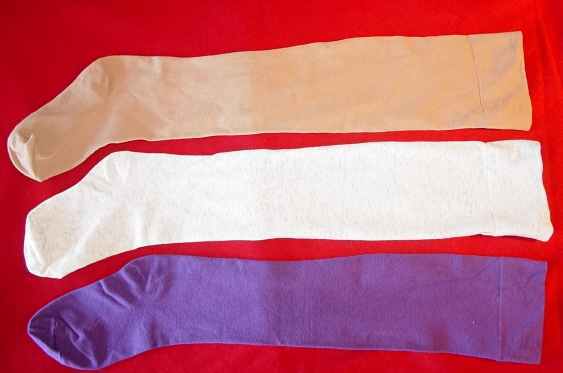 White, natural, tan, oatmeal heather, purple, black.